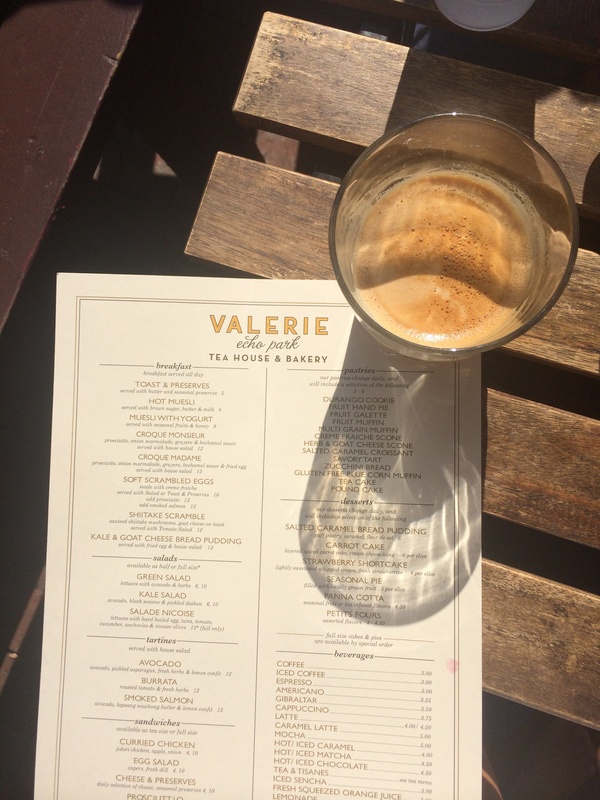 Brunch, Lunch & Sundowners in L.A. If blogs were books on a shelf, mine would be dusty by now. It’s been so long since I have written here! And it’s not that I’ve stopped thinking about food (or eating it for that matter) as my iPhone camera roll would tell you. The storage is full of food photos, so it’s time I started sharing some of the great places I have been lucky enough to go to over the past few months. Now, if there was one place that would force a food blogger to fire up their blog again, it’s Los Angeles. 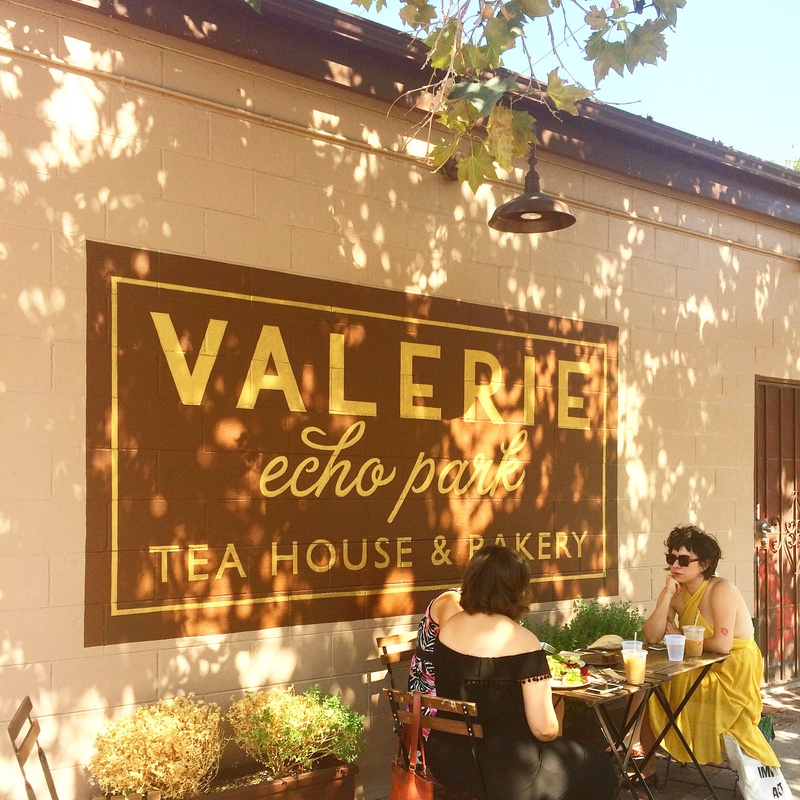 The epicentre of avocado-based brunches and chia-dotted lunches. Where artisan coffee is followed by a hilltop run and 50 crunches. Los Angeles really is the mecca of inspirational healthy living. 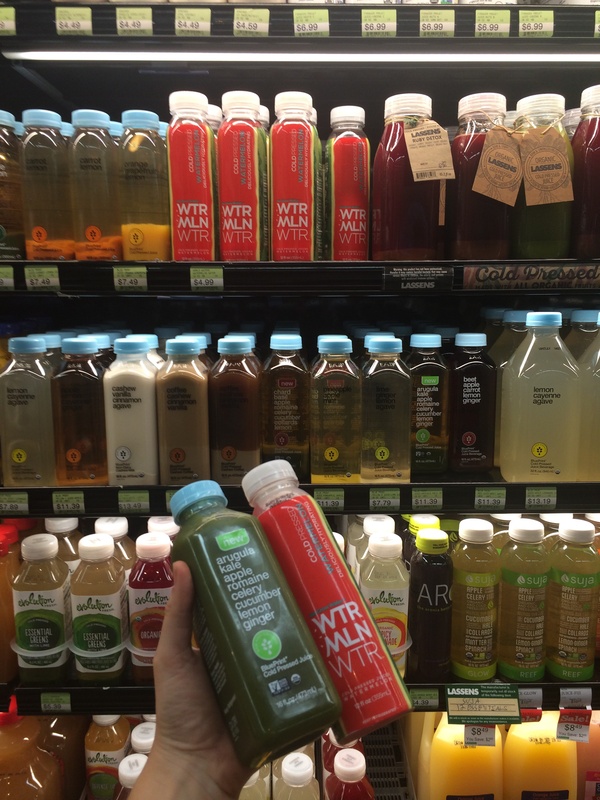 It may be famous for all the young starlets who move there hoping to see their names in lights, but L.A. is also famous for it’s relentless dedication to a healthier way of living. 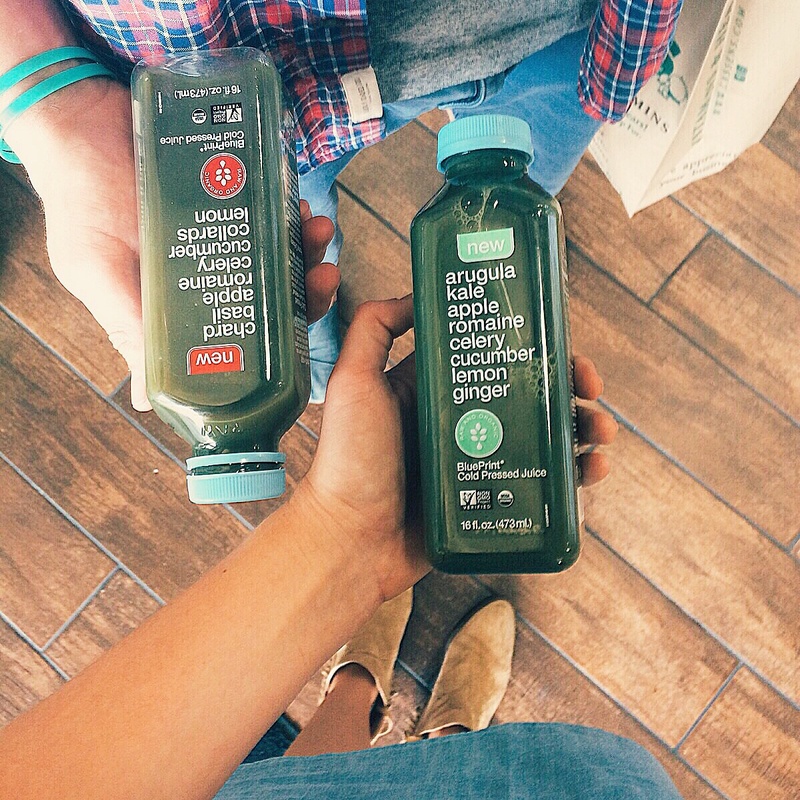 If a new superfood hits your local market, you can guarantee the Californians were already eating it last year. How do you think Jennifer Aniston looks so good at 46?! A beautiful little cafe in Echo Park that was recommended by our host. 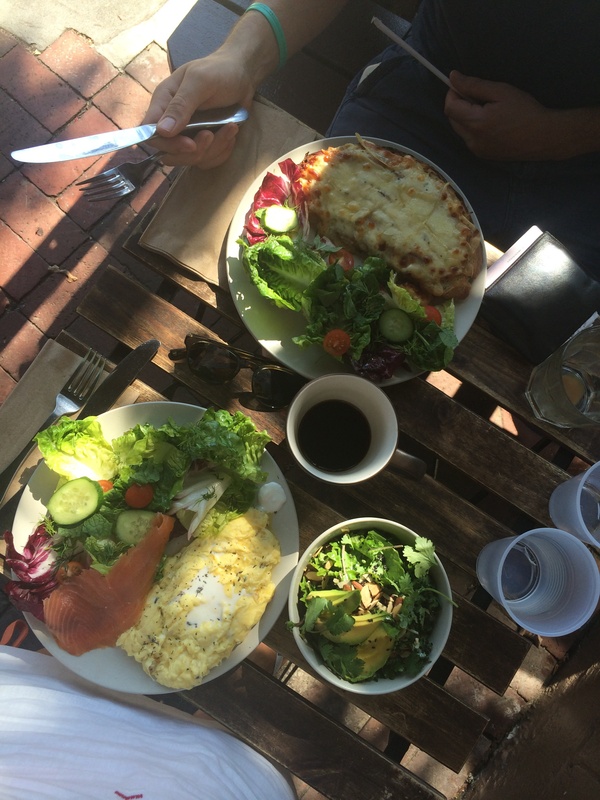 Order the omelette or scrambled eggs with will mushrooms and don’t leave without trying the avocado and chia seed salad. Honestly, salad for breakfast is the best! No morning would be right without a good coffee and the flat whites were excellent here. They also have a range of gluten-free cakes and muffins but they didn’t have gluten-free bread at the time of writing. After a morning spent shopping for hats, shoes, belts (you name it) we were hungry, hot and jaded. The yellow glow of Lemonade, and all the treasure chests of salad that lay inside, couldn’t have been a better energiser! 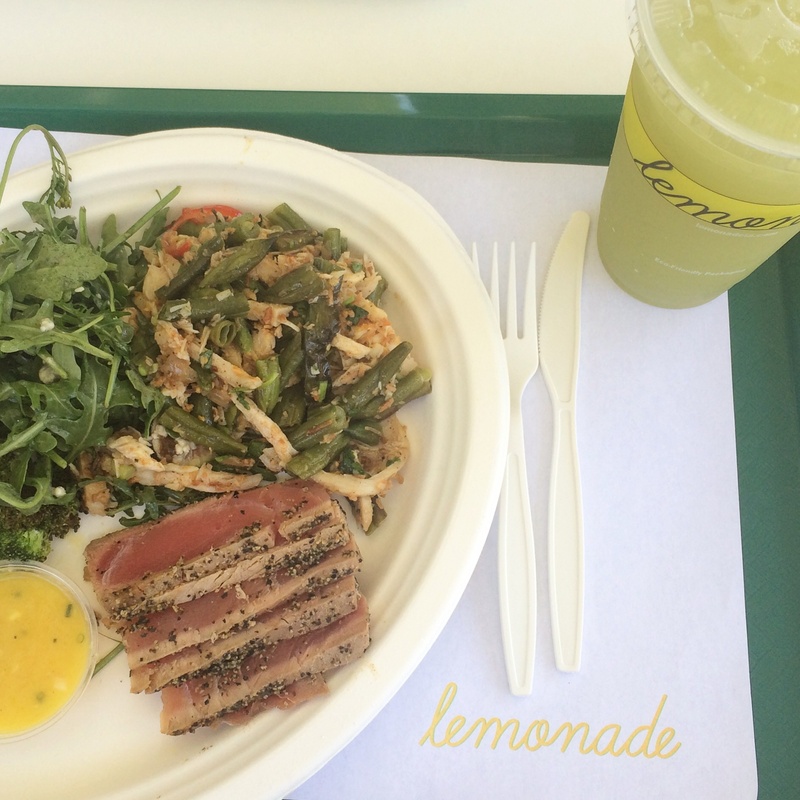 Lemonade is a chain of super healthy fast food restaurants born in L.A. 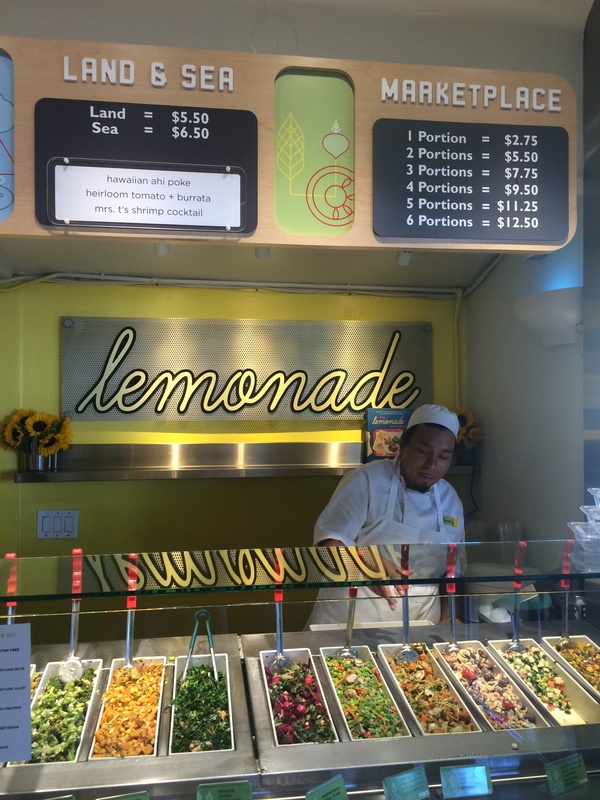 Upon walking in you are given a tray and encouraged to shimmy along a long row of delicious looking salads. If this sounds too much like a school canteen for you, the salads on offer will certainly make you think otherwise. From chargrilled broccoli in a champagne dressing, to coconut infused chicken with butternut squash and pine nuts, the colourful salads don’t disappoint. They make Pret’s offering look positively grey in comparison. 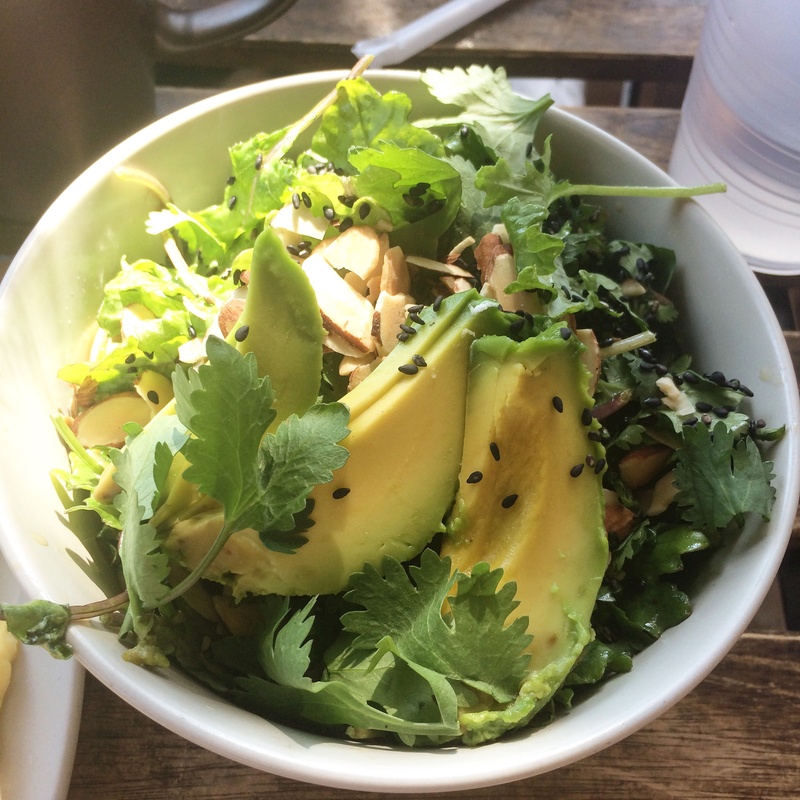 You can order up to six salads in one go, and that gives you a huge portion. So go with friends, order different salads, and taste a bit of everything. They also have hot dishes and cold proteins (chicken, tuna and lean steak) which you can add to the side of your order. Top this off with a huge glass of rose lemonade (or whichever flavour lemonade you fancy – I think they have about six) and you’ve got yourself a plate of salads fit for a king. It is expensive for a fast food joint, but OMG it’s good. 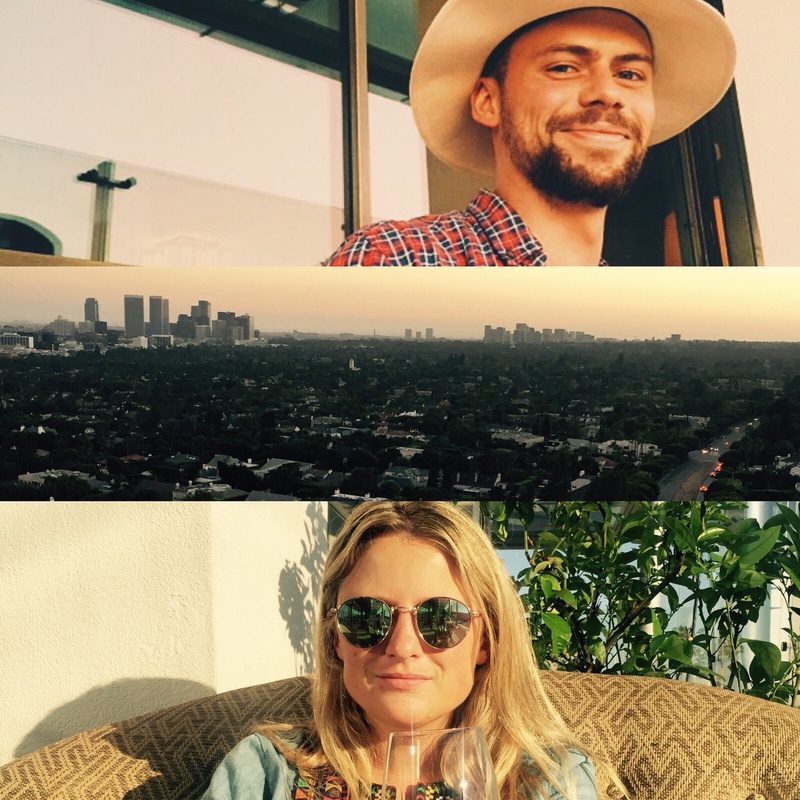 After more shopping and driving around the long, hot, colourful streets of LA, we arrived at Soho House for our evening plans. Once settled on the terrace of the thirty-somethingth floor, we toasted to the Californian sunshine with a large glass of rose, watching the sun disappear slowly behind the hills. And just when I was getting sad to say goodbye to the last ray of sunshine, the glowing lights of LA came alive – like hundreds and thousands of stars below us in the dark. The sun may have gone to bed but Los Angeles was certainly not asleep. 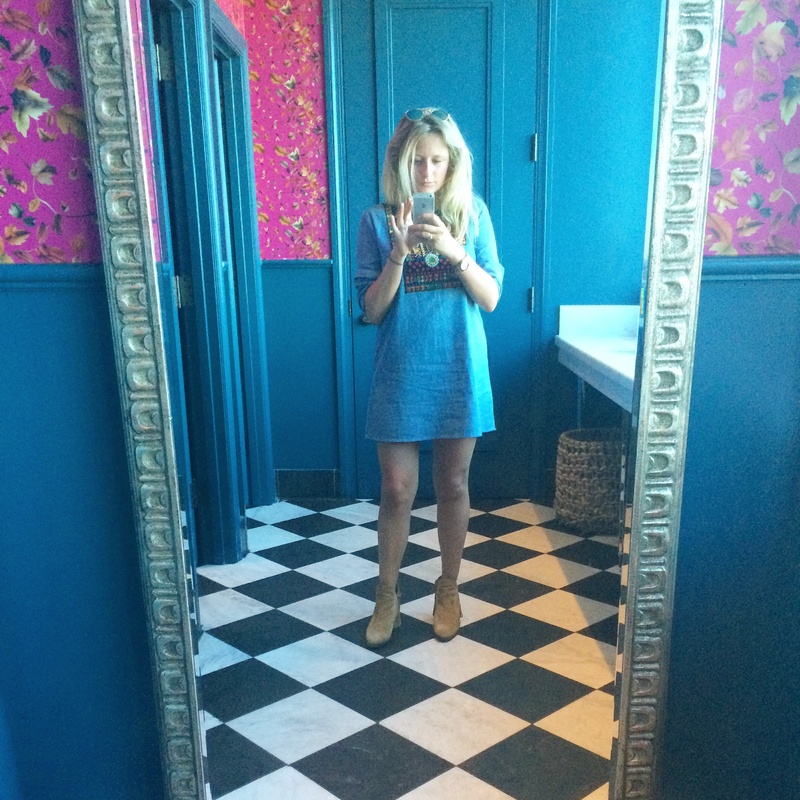 As we left, Soho House buzzed with excitement for the weekend and the sound of more drinks being ordered. L.A. may be a beacon of health but I was glad to see the city still had a strong appetite for a good gin and tonic. See you soon L.A., I really do miss you already! Enter your email below and I'll email you when I post.